35 years ago today, September 18, 1977, NASA’s Voyager 1 spacecraft turned its camera homeward just about two weeks after its launch, capturing the image above from a distance of 7.25 million miles (11.66 million km). 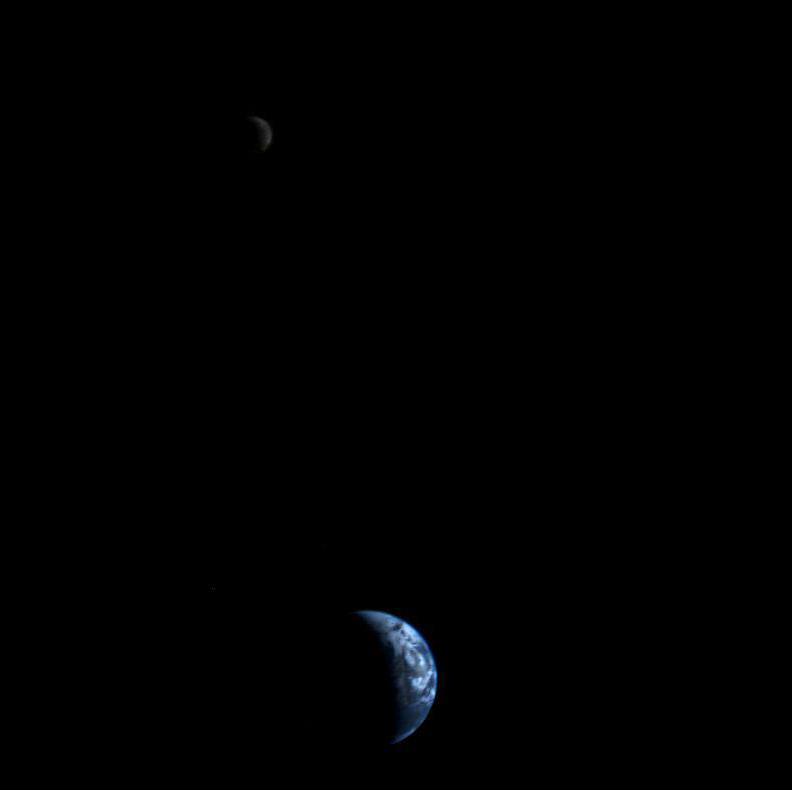 It was the first time an image of its kind had ever been taken, showing the entire Earth and Moon together in a single frame… crescent-lit partners eternally paired in space. Of course, then there’s this famous bit of eloquence by the legendary Carl Sagan. That picture wins all the things.